MyEDiary allows you to add external calendar feeds so that events that have already been created in your external calendar software can easily be imported into MyEDiary. These feeds must be in the iCalendar (.ics) format. Calendar software that supports this format includes Google Calendar, Apple Calendar, and Sentral's WebCal. Please refer to the documentation for these programs for information on how to generate the required URL to insert into MyEDiary. In the Settings menu, click on Calendar Feeds. 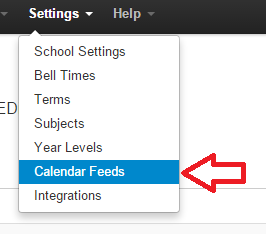 Give your new feed a name and paste in the iCalendar link that your calendar software provides (you must have the calendar set up to be publicly available for the link to work correctly). For Sentral users, this will look like: "http://[Sentral URL]/webcal/calendar/[#]?type=ical" where [Sentral URL] is your school's Sentral web address and [#] is the calendar ID. 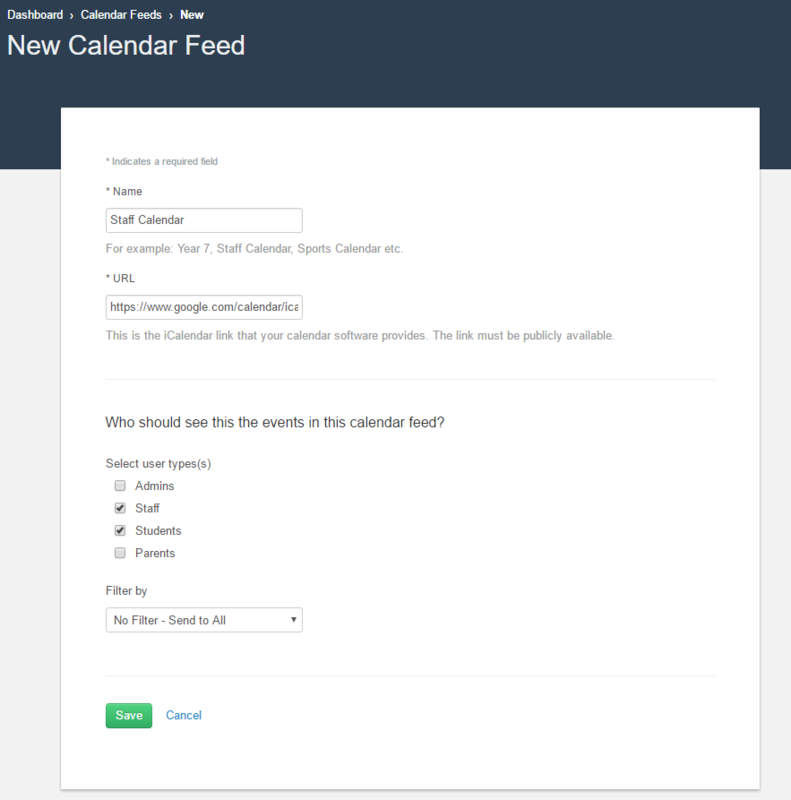 Then use the checkboxes and filters to choose which of your users should see the events from this feed in their calendars. Click Save to add the feed. Any changes made under Who should see the events in this feed? will be reflected when the calendar is next synced. 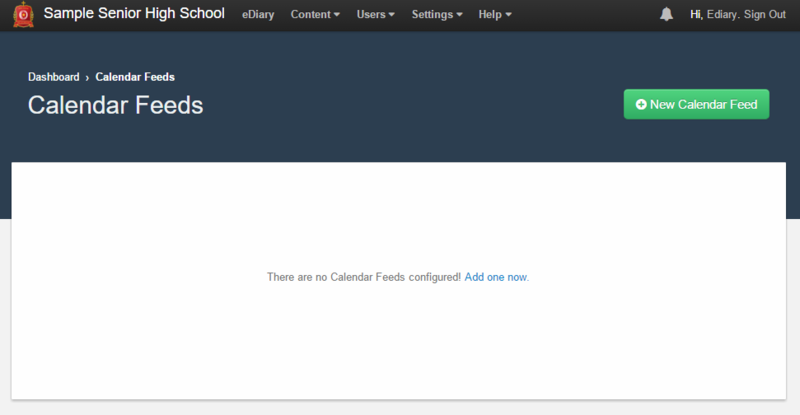 Now that the feed has been created, click the Sync now button to import your events to MyEDiary. A sync log will be displayed showing the progress. 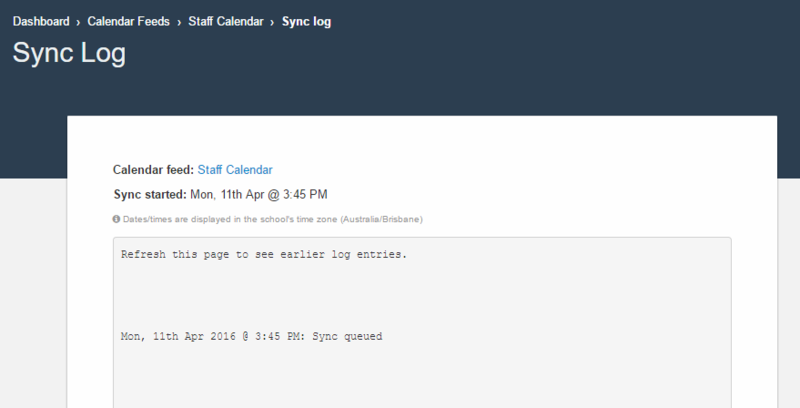 If your iCalendar URL or any events are invalid, this information will be displayed in the log. Relax! 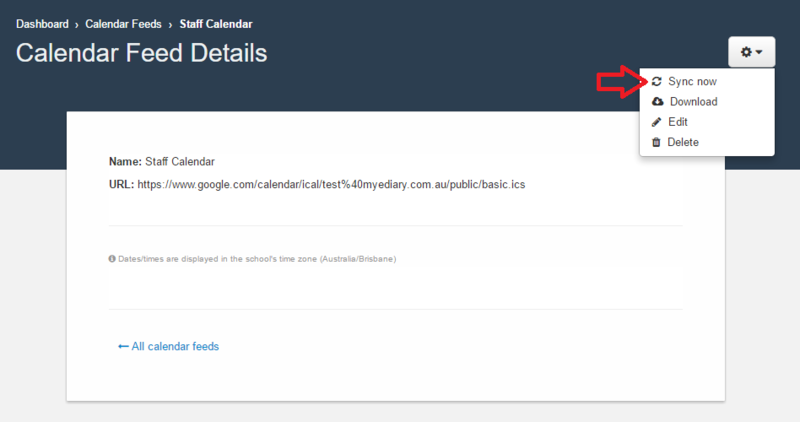 Events from your external calendar have now been imported into MyEDiary and are being displayed to the relevant users. Set up as many different feeds as you need! We're working on having the calendar feeds automatically sync (similar to the way Integrations work) but we're not quite there yet. For the moment, click the Sync now button to reflect any changes made or new events added in your external calendar program.